Divergent Media are an SEO agency. Divergent Media offer client’s a professional and accountable service by ranking brands within Google. Integrity and pride are the cornerstone foundation of our work. We help businesses grow their customer base, increase exposure, and increase revenue. Our strategy will help you to dominate your competition by taking over Google. We operate and work with clients on a local and national level. No client is too small or too big. Divergent Media work with any business/websites that need more customers. Make it easy for people to find you by dominating Google either locally or nationally. Watch as your business grows from a stream of inquiries or customers who want to purchase your goods and services. Why should you stick around paying for results to a company doesn’t deliver? We operate on month-to-month contracts. We send monthly reports with rankings updates and noteworthy news, making clients aware of any industry changes and advising recommendations to help secure their business online. No black hat tactics, cutting corners or outsourcing. 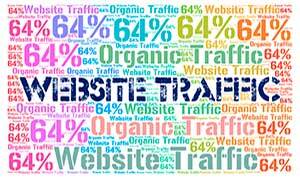 All of the work is performed in-house by our team of internet marketing professionals. The digital world changes at a rapid rate. Staying ahead with SEO tactics is paramount hence why we belong to mastermind groups that include world’s best SEOs. DOES YOUR WEBSITE NEED MORE CUSTOMERS? ASK OUR EXPERTS. SEO has become the number one method for businesses today to grow and achieve their marketing goals. In the modern day, more people are looking to the internet to find information about products and services, and ultimately decide where and with whom to do business. Traditional marketing simply doesn’t work like it used to and to be competitive in Perth’s evolving market, savvy business owners are taking their marketing budget and investing it in digital. Neglecting your performance in Google ranking in today’s digital landscape is simply throwing money away. There are thousands of potential customers out there who are actively looking for what you offer, all you have to do is be found. We take Perth SEO to the next level by giving our clients a comprehensive SEO and digital marketing strategy that drives targeted traffic straight to you instead of your competitors. We combine web design, content marketing, social media management and more to give our clients more visibility through an improved Google ranking while giving them a platform to market their products and services effectively to the customers who are already looking for them. The first step in building a web presence that drives sales is a website that is professional, user-friendly, and quick. Whether you need to optimize your current website or do a complete rebuild, we have the experience and expertise to build websites that sell products and satisfy Google’s requirements. Research shows that over 50% of Google searches made today are from mobile devices like smartphones and tablets. 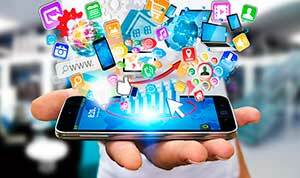 We can ensure that your website is optimized for mobile users, giving your customers a better experience overall and contributing to your Google ranking. Once you’ve got a responsive, user-friendly website, the next step is to ensure that it’s loaded with content that is relevant and helpful to your visitors. By employing keyword research and focus, our team of expert content writers can provide content that effectively communicates your products or services while being carefully crafted to rank in the most competitive searches. Google favors websites that frequently upload content that is helpful and relevant to their user’s searches. It also favors websites that users spend more time on once they’ve reached it. By providing well-written, high-quality content, we can give your visitors a better experience, keeping them on your page longer, and ultimately improve your Google ranking. Active social media management and marketing are critical for effective Perth SEO. With the incredible popularity of Facebook, Twitter, and Instagram allow you to reach thousands upon thousands of potential customers with just one post or tweet. This gives you a direct line of communication with your best potential customers, the ones that are already interested in you. 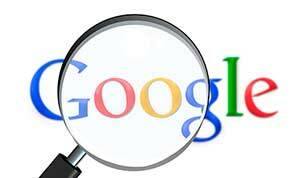 Google and other leading search engine factor in social media activity when ranking websites. A website that is liked, shared, and often discussed on various social media platforms seems more relevant to their users and receives a better ranking as a result. When deciding which Perth SEO agency to partner with, it’s crucial that you choose an SEO firm that understands that there is a bigger picture when it comes to SEO and digital marketing. By considering all the elements of your digital presence that effect your ranking, we can tailor make a strategy that will not only rank you in Google but will allow you to reach and connect with your best potential customers. Google and other leading engines update their algorithms constantly to improve their user’s experience, leaving many Perth SEO firms in the dust. Through comprehensive research and analysis, we stay on the cutting edge of digital marketing and SEO methods, ensuring that you stay one step ahead of your competition. Many Perth SEO firms can get you ranked, at least in the short-term, but we at Divergent Media take it a step further. We aim to create a long-term strategy that will give your business a solid foundation to grow on. Give us a call today and find out how we can help you take advantage of the best ROI in modern marketing. Partner with Divergent Media and let us help you grow your business. Expert SEO agency right at your finger tips. Here are a few selected readings for you.